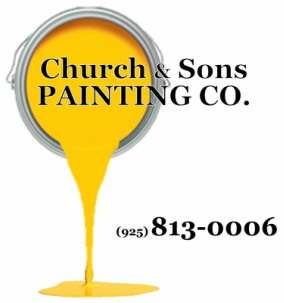 That means Church & Sons Painting will plan hand in hand with you to ensure everything is exactly as you want. You’ll work directly with us. We’ll plan together, going step by step making sure every detail has been discussed. We'll show up at the agreed upon work schedule. We'll leave the work area clean and tidy at the end of the day. And we realize you're excited so we'll keep you updated on the progress of your new space. Our goal is to provide you with a trouble free painting experience and long-lasting results. Nothing is more important or rewarding to Church & Sons Painting than seeing happy smiles on the faces of our satisfied customers.